Today, you can often find the abbreviation IT. many people understand, that means something to do with computers, but not everyone knows, what exactly. 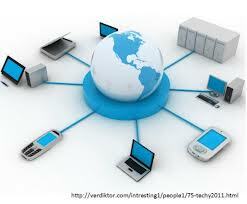 IT (read ah-ti) stands for Information Technology (information Technology). How view, in Russian, too, this abbreviation will look like IT. IT is accepted to the area of ​​activity, which is associated with the technology, helped create, process and store data, and manage. The concept of information technology is increasingly used to programming, networking and other phenomena of the computer sphere. not infrequently, by the way, and people, working in the computer industry (programmers, specialists in the computer equipment) called IT-specialists (the people - pros).